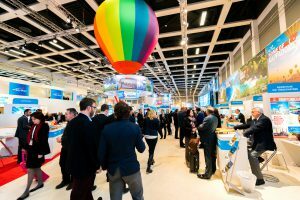 In fact, Heather Dubas wrote a fantastic article about how to use call center services to increase tradeshow attendance. While there tends to be a lot of pre-show planning, often times the post show follow up is not well thought out or isn’t executed in the best way. It’s essential to have a well thought out plan detailing follow up with prospects you encountered at the event as well as the ones that didn’t make it. Here are a few best practices to help your trade show follow up run successfully. Have a post-show campaign designed and ready to launch so that when you’re back, you’re not distracted with having to determine the plan then. While we all wish that there would be 100% hot leads that come as a result of the show, but there’s not. The fact is there will certainly be a mix of hot, warm and cold leads. Have a plan mapped out for each lead type then share it with every stakeholder involved in the pre and post show process. If there is not the bandwidth to support the required action needed, think about leveraging call center services to help facilitate the pre or post show execution. Something to consider when planning…the response from the show should be prompt, professional, personal and should stand out from the other vendors at the event. To stand out, include a picture of your booth and share your value proposition to link your company to the prospects experience and help jog their memory of discussions. After all, you’re just one of hundreds of companies they’ve likely engaged with at the event. I’d suggest, that a good majority of trade show leads are routinely ignored by sales. When outlining the strategy of a follow-up campaign, determine a process in which to qualify leads at the show and then have a different engagement plan for each. Have an established qualification process to decide which leads will get to the sales team and by when. By determining this upfront, you’ll have the chance to think about the types of data you’ll need and want to collect during the event. Consider having criteria to determine which leads are priority that way sales know which leads need to be followed up on immediately. If your sales team is struggling with follow up from previous shows or doesn’t have the ability to support the post show efforts, enlist help using call center services for the sales function to further qualify, if needed. If you wait too long to reach out to leads after the show has wrapped up, you’re going to lose momentum with prospects. Be sure to engage right away with sending relevant information. During the show, information was captured about the prospect to know what their interested in. Send them relevant information pertaining to those discussions and interests they had with your company. Perhaps there’s an eBook, blog post, or customer case study they may connect with that address some of the challenges their faced with or exploring why other customers are engaging with your company. Make the contact count and don’t be afraid to pick up the phone! Pay attention to what your event leads are doing. Are they opening your emails, clicking the links, or downloading white papers? These activities are important as they help you better understand the status of your lead and should also be indicators of next steps for you. It’s important to have a well thought out plan to address each lead based on their respective action. Trade shows and conferences provide a great opportunity to connect with and create new prospects. By making the most of those connections and having an engaging conversation while face to face, when you return to the office after the trade show, your prospect is likely to remember you and the business, giving you an edge over any competition. Quality Contact Solutions helps organizations with the pre and post show outreach to help make the investment of events produce the best ROI possible. For more information on our approach, call or email us today.